Whether it’s the result of juggling a family or building a career, or perhaps a combination of the two, the signs of ageing usually start to appear sooner rather than later. It’s a small wonder then that many people search out ways to reverse what time and stress have done to their skin. However, in today’s fast-paced world, finding a skin treatment with immediate results and no downtime is nearly impossible. That problem has now been erased with the latest revelation from Melbourne’s leading skin and laser clinics Facial Attraction. Introducing the revolutionary Meso Anti-Age therapy into their existing suite of services was easy because the popular clinics only use the most advanced and state-of-the-art medial grade technologies. Meso Anti-Ageing is a fast-acting skin revitalizing treatment, that’s already been highly regarded in the U.S.A. and throughout Europe. Pioneered by a French physician back in 1952, Meso therapy is an effective and natural alternative to invasive cosmetic procedures such as a facelifts. 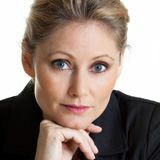 It was during her time in the UK, while treating celebrities and sports stars in one of London’s most exclusive clinics, when Ms. Warren first became aware of the coveted anti-ageing Meso treatment. “After conducting over a thousand treatments and witnessing outstanding results,” Ms. Warren looked to continue using the therapy for her clients once back in her home country. She was shocked to find the Meso anti-ageing treatment unavailable in Australia. 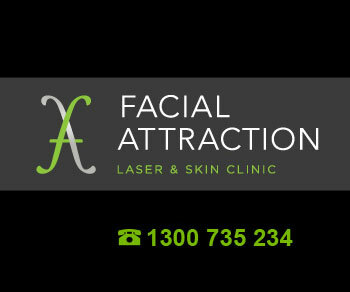 Facial Attraction is a professional skin and laser clinic with 9 locations around metro-Melbourne. The leading clinicians are focused on results, integrity and affordability, which naturally lead to high client satisfaction and exceptional results. Their renowned reputation has positioned them as leaders in the aesthetic industry. Comprised of fully qualified and accredited Laser clinicians, nurses, dermal clinicians and doctors, all their initial consultations are honest, realistic and complimentary. Make sure to contact a Facial Attraction clinic to find out more about any of their safe, effective, affordable and non-surgical treatments today. To learn more about Facial Attraction, click here.